Revolutionary Letters – loudlatinlaughing – Euge! Euge! 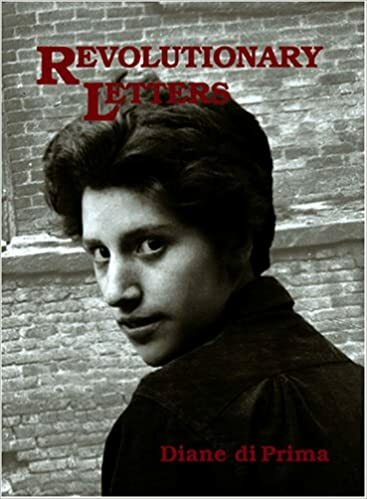 Diane di Prima’s classic volume of poetry seems….well, dated. Or perhaps I’m just in a bad mood and hating everything I’m reading today. Some of the poems are worth waving around, like Revolutionary Letter #10: These are transitional years and the dues/ will be heavy./ Change is quick but revolution/ will take a while./ America has not even begun as yet. / This continent is seed. The dues are heavy indeed. Another goodie is #46: And as you learn the magic, learn to believe it/ Don’t be ‘surprised’ when it works, you undercut/ your power.